After our return from summer camp in Berg Neustadt our parents told us the exciting news that the construction of the apartment building was nearing completion. If all went according to schedule we would celebrate Christmas in our new home. Angelika had moved to Wolfsburg during the summer My friend and I had been an inseparable pair keeping mostly to ourselves. Angelika did not like to “share” me with other girls and had jealously guarded our friendship. I felt lost without her. I was apprehensive about going back to school fearing to be without friends. Once in awhile Angelika and I had been invited for a special occasion to Gisela’s house. Gisela was the girl from Eisenach, the famous town close to Gotha, where the Wartburg is located. But as so often in my life, my fears were unfounded. Gisela and her friend Gudrun felt sorry for me and asked if I wanted to walk with them during recess. They also invited me to do homework at their homes. They always took turns. Knowing my situation they did not mind that I could not invite them back because of the Old House. I promised them that they could always come to my place once we had moved. They were fine with this prospect. Gisela lived with her grandparents, her mom and older sister in a new apartment, not too far from our prospective home. Gisela’s pretty mom, a petite, dark-haired woman, was a war widow. Gisela had never known her dad, a pilot, who was killed shortly before her birth. After the war and their flight from east Germany Gisela’s mom worked as a seamstress, while her parents took care of the household chores. Gisela, a tall long-legged girl with big brown eyes, always wore the most stylish and beautiful dresses which her talented mom designed and sewed for her. 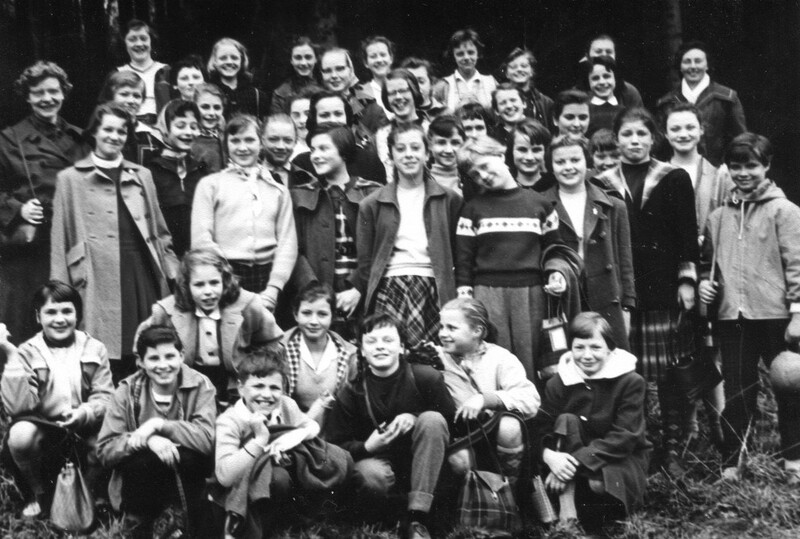 Gisela was a bit more serious and reserved than most of our classmates and, therefore, appeared to be older. Unlike Gisela, Gudrun was very outgoing and radiated warmth. She always had a sweet smile on her round face. Blond, blue-eyed and well developed she liked to take life easy and have fun. While I still wore hand-me-down clothes from my second cousins, Gudrun had the most beautiful skirts, blouses and dresses, which her mom sewed for her. Like Gisela’s mom, her mother was also a war widow and a seamstress. 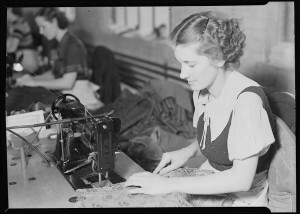 She also had a tailoring business at her home. Gudrun’s grandma lived with them. But her grandpa was dead. Gudrun’s Oma did the household chores while her mom sewed on a big long table in a corner of the spacious kitchen close to the window. Gudrun’s well dressed mom looked glamorous with her fashionably styled blonde hair, her heavy makeup and her bright red, enormously long fingernails. They were curved like claws. I secretly wondered how she could handle delicate materials with them. She would take frequent smoke breaks showing off her long fingers by gracefully holding the cigarette. She half closed her mascaraed eyes, leisurely and slowly exhaling the smoke through her rounded red lips. Smoking looked so pleasurable and alluring to us girls. Periodically. a male friend of the family who was a truck driver for a brewery would visit Gudrun’s mom. At those times there was a lot of laughter, joking and thick clouds of smoke, which were coming from the sewing corner distracting us from studying for school. I think her mom’s friend was a father substitute for Gudrun. Gudrun had a record player, a luxury our family could not yet afford. She owned records of the top hits, most of them presents from her mother’s friend. We would listen with excitement to the catching songs and rhythms of Little Richard, Elvis Presley. Connie Francis and Brenda Lee. As soon as Gudrun’s mom and Oma were out doing errands, we would even dance around. 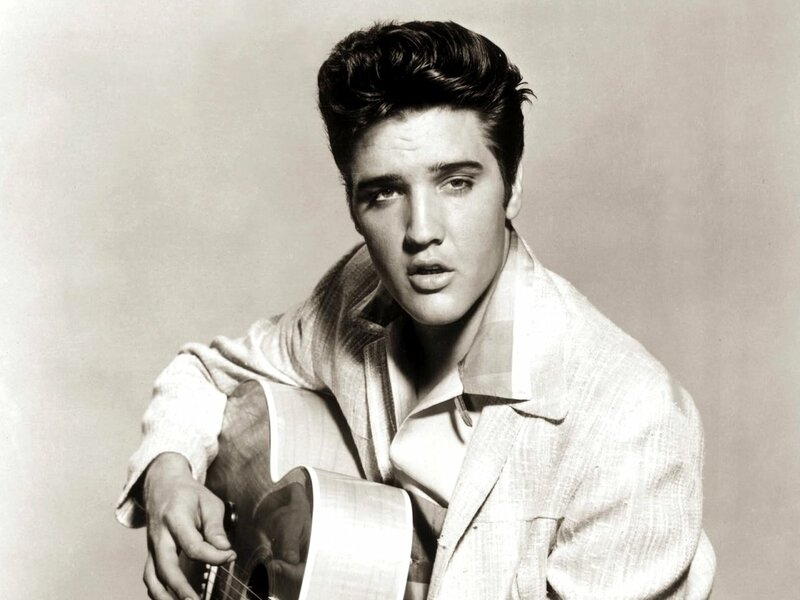 When our top idol Elvis sang, “Love me Tender” we were mesmerized and started dreaming of first love. I envied Gudrun and Gisela for their wide skirts with stiff petticoats that swung in style when they twirled and spun around trying to dance Rock’n Roll. But I still had fun and was thankful for my two new wonderful friends. Deine Blocks über deine Erlebnisse in der Kindheit(Freundschaften,Flucht,Flüchtlingscamp,Kindererholunglager u.a.) sind für mich sehr ergreifend-du schreibst über so viele Situationen,an die ich noch lange denken muss-so z.B.über den Soldaten, der Milch und andere Lebensmittel in schlimmen Zeiten zu euch brachte,oder die gefährliche Situation,als ihr auf der Flucht”entdeckt” wurdet.oder deine Erlebnisse im Kinderholungslager(wie schön,dass deine Muttet zu dir kam,als du sie brauchtest)).Auch die Erzählungen über deine Freundinnen sind sehr ergreifend! Toll,dass wir euch kennengelernt haben!